Hot Springs is home to a growing collection of notable public art. From murals celebrating Hot Springs’ rich history, attractions, and culture, to its sculpture garden, permanent and temporary exhibits at the Hot Springs’ Convention Center, and more, the spa city serves as a stunning backdrop for creative expression. 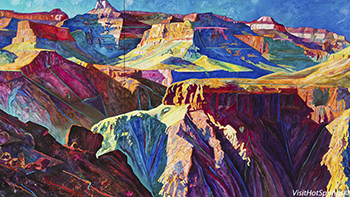 The Hot Springs Convention Center and Bank OZK Arena is home to an impressive display of paintings and sculpture in its permanent collection for visitors to enjoy. Already acclaimed as one of the finest and most comprehensive art collections in any public facility in the region, the collection is also showcased on a new Internet web page that is open to anyone who is interested. 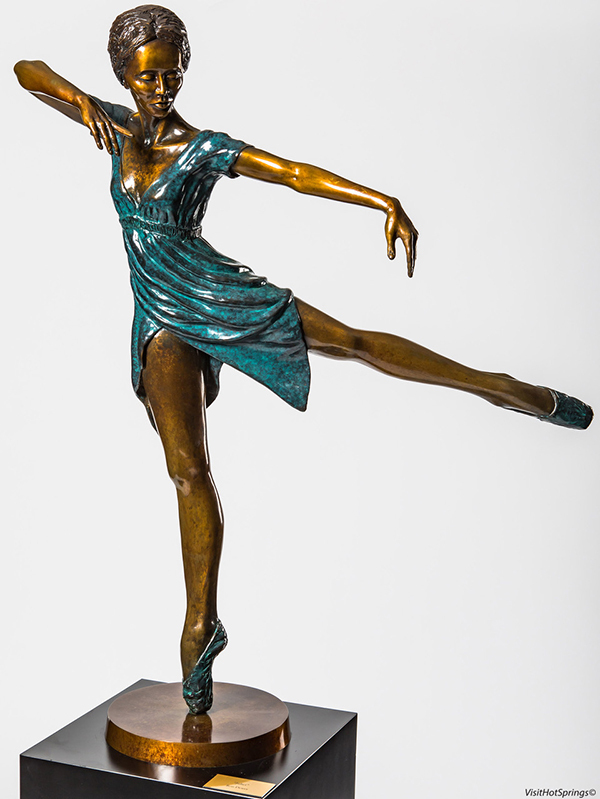 The art can be seen at https://www.artworkarchive.com/profile/visithotsprings. The newest addition to the art on display at the Convention Center is an exhibit of 40 large paintings by Hot Springs artist Longhua Xu. Called “The Soul of Arkansas,” the exhibit features scenes and portraits of everyday Arkansans in settings such as farmers markets and other places. The exhibit is in the North Concourse of the Convention Center and, like all the artwork, is available for the public to enjoy without charge during regular business hours. Hot Springs has a wide array of public sculptures ranging from traditional to experimental styles and mediums. 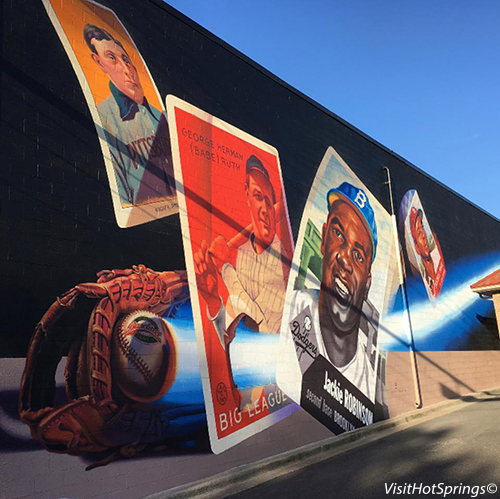 Hot Springs has added stunning new murals to its historic downtown over the past few years. 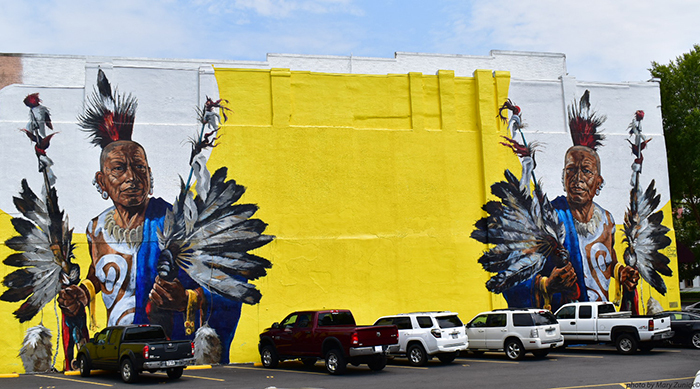 Commissioned by the National Park Rotary Club, the Quapaw Indian mural is based on a painting by Charles Banks Wilson that was adapted as a mural by Pepe Gaka. Recognizing the history of Native Americans in the area, the mural was dedicated on October 18, 2017. 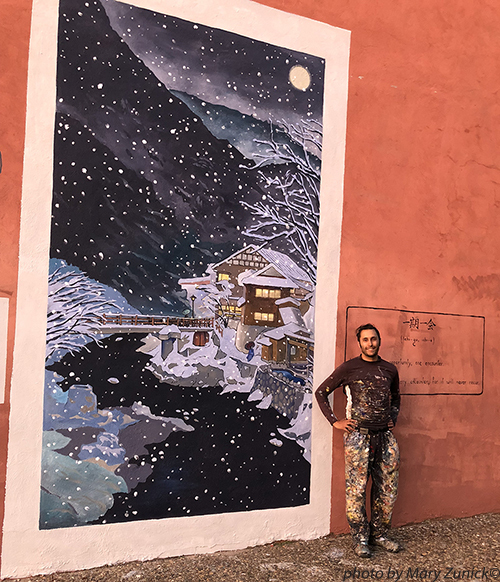 Completed in 2018, the mural celebrates Hot Springs’ Sister City relationship with Hanamaki, Japan.